Does your home in the Tampa Bay area have a leaky roof, missing shingles, or visible water spots? If so, it’s probably time to contact Veterans National Property Services for a new roof installation. Our Service-Disabled Veteran-Owned Small Business (SDVOSB) is the residential roofing company you can trust for a roof you will never have to worry about again. Tile shingles are a smart choice for homeowners looking for a trendy and durable roofing solution. Our residential roofing company is experienced with installing these traditional clay tiles, so you can rest easy knowing your roof will continue to look beautiful and keep your home well protected. Shingles are a classic and affordable choice among homeowners. 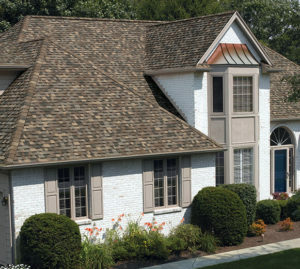 VNPS installs a wide selection of premium TruDefinition and Designer shingles from Owens Corning, so you’re sure to find the perfect, durable style to suit your unique taste. Our metal roofing is extremely resistant to powerful winds that can threaten to expose your home to damaging elements. We install a locally manufactured standing seam roofing design that utilizes a snap lock to resist wind uplift, ensuring you receive a sturdy metal roof that is built to last. If you are ready for a new roof installation, then look to the residential roofing company that cares about your home – VNPS. We proudly serve homeowners in the Tampa Bay area and are more than ready to give you a new roof you’ll never have to worry about again.